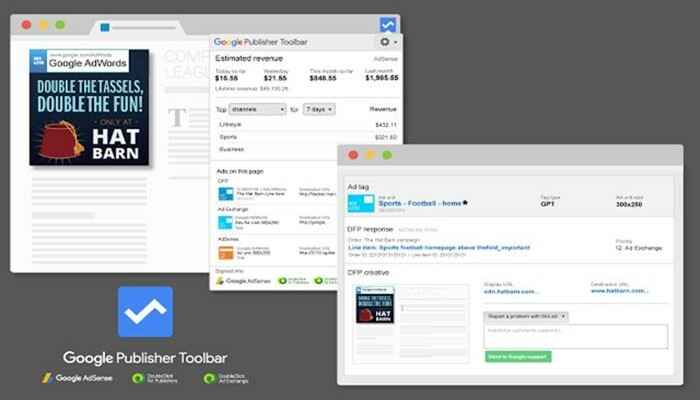 Google ne chrome browser ke liye 2012 me extension release ki thi jiska name tha “Google AdSense Publisher Toolbar”. Jo bina adsense.com ko open kare and same page par hi AdSense revenue report show karti hai. Aaj is post me mai aapko iske ke bare me details se bta raha hu ki chrome browser me google publisher extension kaise or kyo install kare. Chrome browser me google AdSense publisher extension install karne ke liye aap Google Adsense Publisher Toolbar par jaye. Yaha aap google chrome web store se ise aasani se install kar sakte hai. 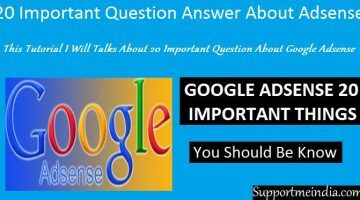 Sabse important bat google AdSense publisher toolbar use karne se aapko bar bar adsense.com site ko open nahi karna padega or na hi aapko AdSense android apps ki jarurat padegi. Kyuki AdSense toolbar in dono ki kamiyo ko dur kar deta hai. Iske bare me aap in point se samajh jaoge. Adsense earning Summary: Google AdSense toolbar me aap AdSense apps ki tarah adsens earning ki summary report dekh sakte hai. Jisme today, previous day, current month, previous month and total earning report show hoti hai. Isme daily earning data bhi details me show hoti hai jisme aap top channel bhi dekh sakte ho. Isme interesting feature hai lifetime earning show karna yani ki AdSense ke approved hone se ab tak aapki total kitni earning huyi hai wo bhi show hoti hai. Current Page Ads Unit: Jab aap apni site ko open karte ho or usi page par AdSense toolbar par click karke report check karte ho to AdSense toolbar aapki site ke current page par lage ads ki information btata hai. 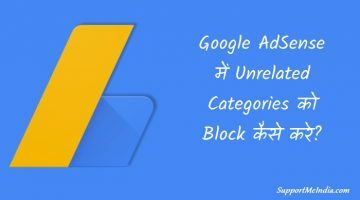 Ads URL: Bahut bar jab hum low CPC wale ads ko block karte hai to un ads ka url pata karne me problem hoti hai. Google AdSense publisher toolbar aapki ye problem dur kar sakta hai. Aap apni site ke page ko open kijiye or AdSense extension par click kar ke aapko jis ads ka link pata karna hai us par mouse le jaye. Ads ke first me uski links details pata chal jayegi. Multiple Google Account: Security ke liye hum ek se jyada google account bana lete hai or jab hume AdSense earning performance check karni hoti hai to hume us google ID se log out karna hota hai or primary google ID se sign in karne par hi hum AdSense par earning report dekh sakte hai. But AdSense publisher toolbar par aap bina sign out kiye bhi AdSense earning report dekh sakte ho. Show Hourly Adsense Earning: Bahut se user bar bar AdSense income check karte rakhte hai. Ayse me unhe bar bar AdSense site ya AdSense application ko open karne ki jarurat nahi hai. Wo direct current browser me hi AdSense toolbar par AdSense earning report check kar sakte ahi. Analytics for this page: Adsense toolbar ko aap analytics se connect kar today, yesterday, last 7 day, this month, last month ki visitors or pageveiws report dekh sakte hai. Isme aapko analytics account open karne ki jarurat nahi hoti hai. Aap yaha par easily pata kar sakte hai ki aapki site par kitne users ads dekhte hai. I mean ayse users jinke browser me ads show hote hai. Ad Details: Aap chaho to apni site par lage kisi bhi ads ki details check kar sakte ho. Iske liye aapko us ad wala page open karna hoga or uske bad AdSense toolbar par click karke us ads unit ke samne “identify ad and load ad etails” par click karna hai. Ab ek pop-up windows open hogi. Usme aap is ad ki puri earning detail dekh sakte hai. Aap chahe to yaha se is ads ko block bhi kar sakte hai. Inke alawa bhi google AdSense toolbar me bahut sare feature hai jo aapke liye helpful and useful sabit ho sakte hai. Unke bare me janne ke liye aap ek bar AdSense extension ko chrome browser me install kar active karke dekh sakte hai. I hope is google AdSense publisher toolbar ko use karke aapko AdSense ke bare me new information milegi. Now, share this post on social media with your friends. Yes kar sakte ho ha aapko hosting leni hogi. Kafi important jankari he AdSense users ke liye . Adsense me non hosted account kya hai yah alg se banana padta he kya. Nahi jab hum sirf YouTube ya blogger ke liye account banate hai to wo none hosted account hota hai. Iska matlab aap sirf YouTube or blogger blog par hi ad laga sakte ho. aapne comment box kaise add kia hai .ise main kaise add kar sakta hun. Ye WordPress ka comment box hai jise aap blogger par use nahi kar sakte. Iske liye aapko WordPress par blog swift karna padega. Thanks for the info, i have installed useful tool hai. Aap aysi template use karo jisme pahle se navigation feature ho ya fir aap google me search karo kisi site par aapko iski coding mil jayegi. Sir focus key kaise choose karate hai…yoast SEO me…..aapke is article ka focus keyboard kya hai…sir ji…details me batayen…plzz..?? Yoast seo plguin me focus keyword choose karne me point show hote hai unhe padh kar kar sakte ho. Agar english kam aati hai to unka google hindi tranlater me tranlate kar liya karo. Mai yaha aapko sirf itna bta sakta hu ki aap jo bhi focus keyword use karo wo aapki post title, url, heading, first paragraph, last paragraph and post content me 2% hona chahiye. sir 4 mahine se sirf blogging ke bare me padg rha hu. kuch samajh me nhi aaya to aapse help magi. ab aap hi help kro. Abhi aapko blogging ke bare me or sikhne ki jarurat hai. Bro samajhna to aapko hi padega. Sir thodi se help chaiye mere blog mey backlinks bhut kam hey kuch essa tarika batay jissey mere backlinks bhadey aur useful backlinks badey. Other site par comment karna chodo or blogging par dhyan do. Jab aap acha work karoge to log kuch aapki site ka link apni post me add karenge. Tab aapko quality backloinks milenge. Maine kabhi chikita use nahi kiya hai isliye iske bare me aapko guide nahi kar sakta hai ho sakta hai mai aapko galat tarika bta du. So aap kisi ayse blogger se bat karo jise chitika ki jankari ho. Aapke blog me koi kami nahi hai. Bas aap post me jyada words use kiya karo. iss se ghar ke liye kuch nhi kar pata. Aapse sabse blogging ke bare me post padho. bhai Google Analytics se ueh mail aaya he..
visitors to your website with Google AdWords. Get free account management support from our AdWords team when you spend 400 INR/day or more. 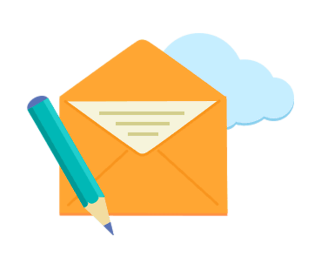 •	Show your ads to the right audience and only pay when someone clicks through to your site. •	Track your ad performance, budget, clicks, visitors, sales and more by connecting your Analytics and AdWords accounts. •	Make your campaigns even stronger with information from Analytics, like which keywords are sending the most customers. *Offer valid for new customers only. Visit google.com/ads/analytics or call 1800 419 0922, 9:30am – 6:30pm, Monday-Saturday, before June 30 2016 to redeem the credit. Please use offer code:9EQMR-QN-9YW. 1. Offer available to customers with a billing address in India only. One promotional code per advertiser. 2. To activate this offer: Enter the promotional code in your account before June 30 2016. In order to participate in this offer, you must enter the code within 14 days of your first ad impression being served from your first AdWords account. 3. To earn the credit: Start advertising! The advertising costs you accrue in this account in the 31 days following your entry of the promotional code, excluding any applicable taxes (such as service tax, currently applicable @ 12.36%), will be matched with an advertising credit in the same amount, up to a maximum value of 2000 INR. Ye sirf adwords par apni site ke ads lagane ki tips hai or kuch bhi nahi hai. Agar aap adwords par ads nahi den chahate ho to ise ignore kar do. Agar aap sahi is or se comment kare or comment me pure word use kare to mujhe aapki help karne me koi problem nahi hai. Mai aapko suggest karunga ki abhi aap SEO par or badiya information hasil karo. bahut badhya tool hai mene bhi install kiya hua hai. Welcome sahil koshish karunga or bhi new information share kar saku. Plz is ke bare me samjaye. Aap adsense.com ka web version open karke dekh sakte hai or agar aap YouTube ki bat kar rahe ho to YouTube eastimated earning par dekh sakte ho. Me apne blog ki adsens ki bat kar raha hu . Me web version me hi dekh raha hu. Me computer me blog ko us kar ta hu. Computer me sabkuch clear show hota hai. Aap adsense.com par jao Performance reports par click karke right side me today par click kar aal time select karo. Yaha aapki puri earning report show hogi. mera AdSense aaj se 1 mahine pehle hi approve ho gaya hai but fully approved abhi tak nahi hua . na hi koi mail aa raha hai na hi ads show ho rahe hai. Iska simple sa jawab hai aapne blog me kabhi copy paste ki hai ya fir aapne blog ko AdSense friendly banane se pahle hi apply kar diya tha. 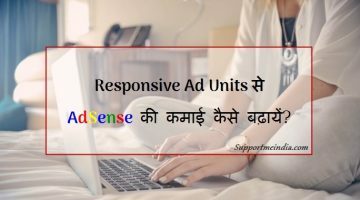 अगर AdSense फ्रेंडली बनाने से पहले अप्लाई किया हुआ है तो क्या होगा.